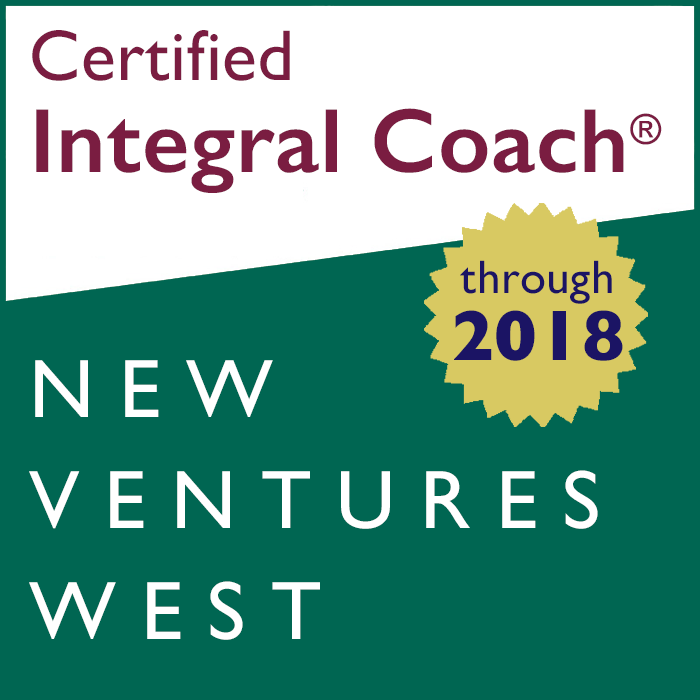 Certified Integral Coaches® have successfully completed the Professional Coaching Course at New Ventures West, including the year-end certification process, detailed below. To ensure the ongoing development of the coach, certification must be renewed annually by way of an approved course or project. 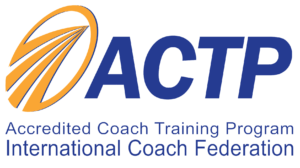 The Professional Coaching Course is an Accredited Coach Training Program (ACTP) with ICF and provides 186 student contact hours. Participants who complete the necessary course work may participate in certification at the end of the Professional Coaching Course. The certification process is rigorous. Rather than take written tests or submit tapes of coaching sessions for review, you participate in a live certification with a committee of senior New Ventures West coaches and outside experts. Live coaching. We pair you with a “guest client”: someone who has volunteered to be coached. After having an initial conversation and then designing a coaching program for them, you coach the guest client in front of the certification committee and fellow students. The purpose of doing this is to give the committee a firsthand experience of your competence and way of being as a coach. Discussion of cases. The committee inquires about the work you did with three clients about whom you’ve submitted case studies, and how you interpret these experiences now. The purpose of this inquiry is to help the committee assess the extent to which your coaching reflects the methodology and standards of Integral Coaching. Reflective questions. Based on its observations thus far, the committee asks you questions about your development as a coach and human being. The purpose of these questions is to allow the committee to observe you as you reflect on your experiences from the day and what you have learned from them. At the end of your certification day, the committee makes an assessment of your current competence as a coach. On the average, in a class of 20 students, between 16 and 18 students decide to pursue certification. The most common reasons that students choose not to do so are: (a) they do not think they are ready, (b) we do not think they are ready, or (c) events in their life make it difficult to invest the time needed to prepare. Certification is without a doubt a challenging process. We hold a high standard of competence because the work of Integral Coaching demands nothing less.